corner: rue Sherbrooke St O. 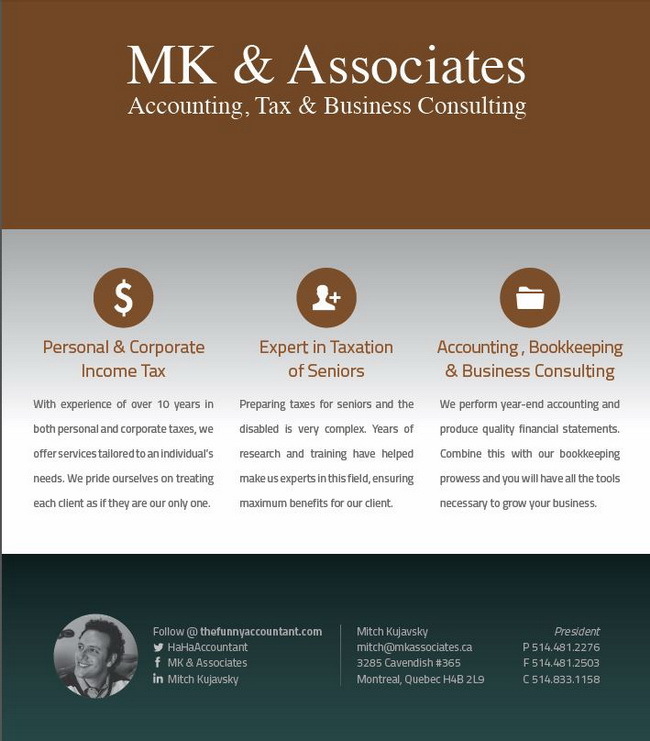 You can feel very comfortable having your taxes done by MK & Associates, headed by President, Mitch Kujavsky. With 10 years of knowledge in personal and corporate taxation, he leads the firm in their goal of making each customer feel important. The company specializes in the growing area of expertise of seniors' taxation. There are many avenues to explore in the tax laws which can reduce your tax bite, but many general accountants are not as familiar with them as they are here. As well, their expertise extends into a specialty of taxation for the disabled. - Did you know you can use your total rent as a medical expense if you are living in a senior's residence where there is a doctor and nurse on staff Mon-Fri? They can handle your year-end accounting and produce quality financial statements. Use them too for their bookkeeping prowess in order to have all the tools necessary to grow your business. 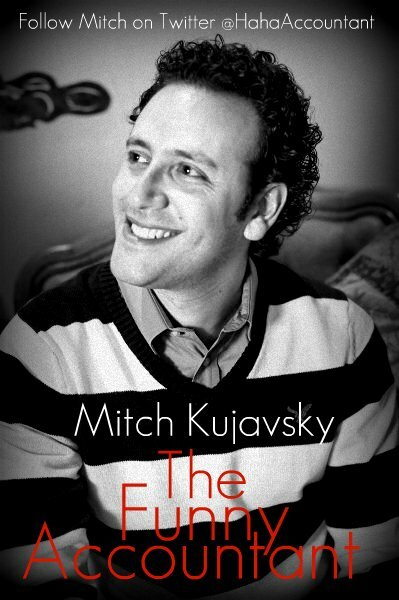 You can follow Mitch Kujavsky's Funny Accountant blog http://thefunnyaccountant.com/ and see the kind of money and tax savings ideas he comes up with and shares with his audience. So whether you need an accountant for your personal taxes or your business, why not give them a call?